Patricia de Lille urged Capetonians to reduce their water usage. The City of Cape Town will reach the so-called reach Day Zero if stubborn residents continue to use water excessively, mayor Patricia de Lille said on Sunday. “While the city is doing everything in its power to bring additional water online, all Capetonians must reduce their water usage to below 87 litres per person per day,” she said after accompanying City of Cape Town water and sanitation department officials to a number of homes as part of ongoing efforts to restrict households who, despite warnings and appeals to reduce water usage, were still using excessive amounts of water. “We thank the water-saving heroes for all their efforts to help us beat this drought, but not everyone is doing their part. We cannot allow some people to continue abusing water while we are in the midst of an unprecedented drought. “This is the only way Cape Town can avoid Day Zero when all residents play their part and save water while the city builds new water projects. We can only save water while there is still water to save. Despite receiving warning letters, there are still households using excessive amounts of water. This kind of behaviour is pushing Cape Town closer to Day Zero,” she said. Many high users maintained a stubborn attitude in this time of water scarcity and had prevented city staff and contractors from accessing their properties to install the devices. At times, they had even become aggressive and law enforcement staff had to accompany officials to install the water meters. The city’s teams had visited these properties twice already. This was a waste of city resources and residents had no standing to prevent the city from accessing its infrastructure. The residents at these three properties also had no outstanding queries on their water accounts and had not requested a quota increase from the city, De Lille said. The city had taken action to install water management devices at 18,597 high consumption households across the city so far where contraventions had occurred. Since July, the city sent warning letters to about 50,000 households using excessive amounts of water. In August, the city started the roll-out of water management devices to restrict excessive users to 350 litres per day. Properties where consumption above 350 litres per day was justified could, however, make representation to the city to request a quota extension by submitting an affidavit with the names and identity numbers of people living on a property. In such cases where there were more than four people, the city would set the water management device to the appropriate level so that each person had 87 litres of water per day. “This past week, we again saw residents behaving badly because there was some rain and consumption went up to 631 million litres per day. We should be saving more water to meet the target of 500 million litres per day to move Day Zero further away. 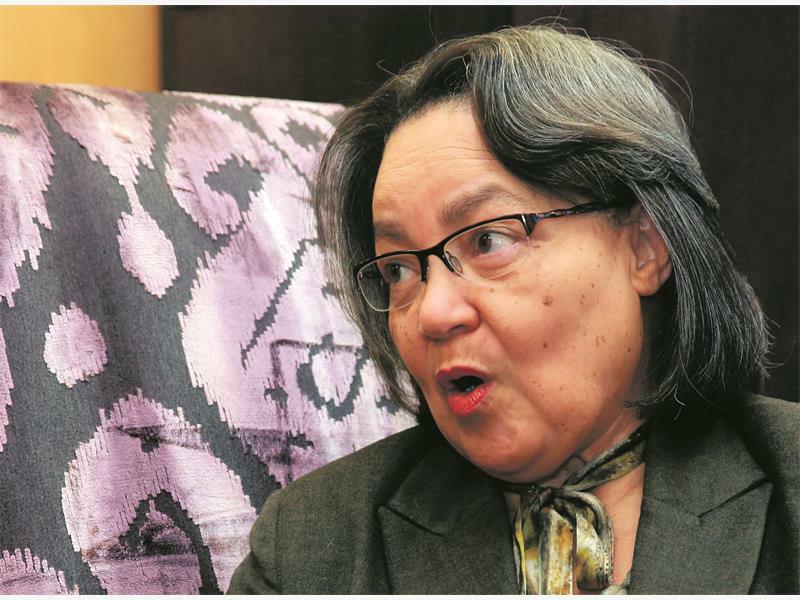 Day Zero comes when we reach 13.5 percent dam level capacity and the city will close almost all taps and residents will have to queue for water from around 200 collection sites,” De Lille said.